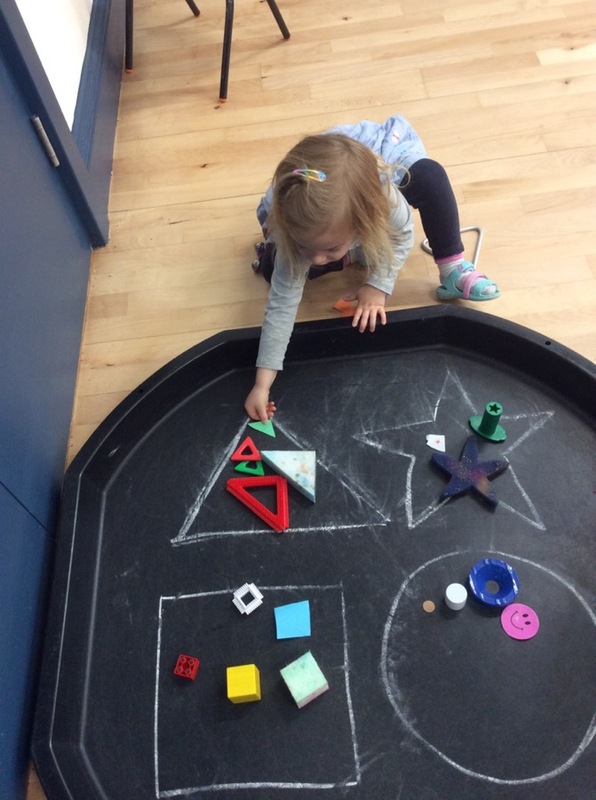 This week we are looking at 2D and 3D shapes at preschool. 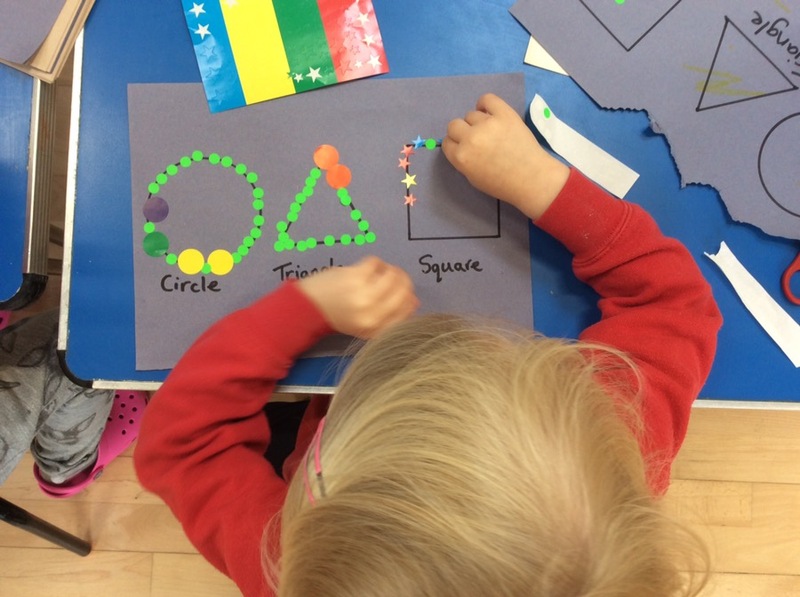 Today we were using stickers around the edge of 2D shapes, this was great for reinforcing the form of each shape and also those fine motor skills (those small stickers can be fiddly). We also used the tuff tray to sort various items we found around preschool. In the Home Corner there were lots of practical life skills; tipping and pouring coloured water, transferring lentils using spoons and using tweezers to pick up small rubbers. 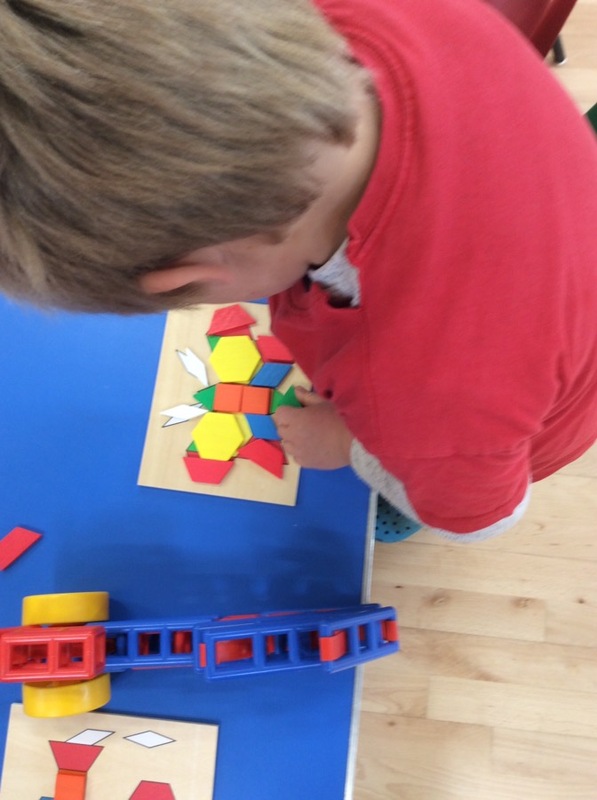 Liz bought in a great shape and pattern puzzle which some of the children enjoyed using to copy the pattern below. 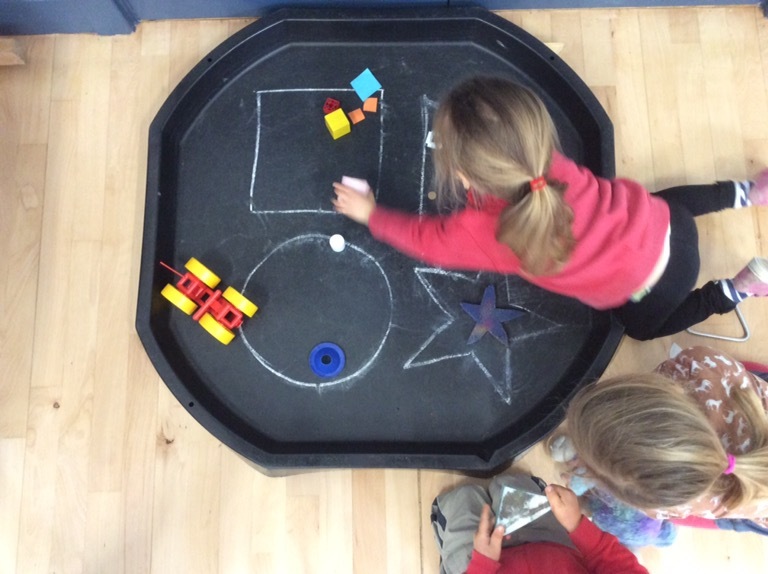 Helping with colour recognition, hand to eye coordination and spatial awareness.